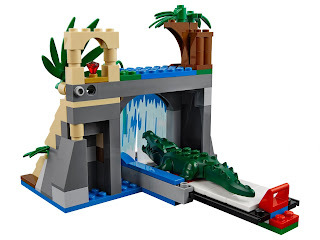 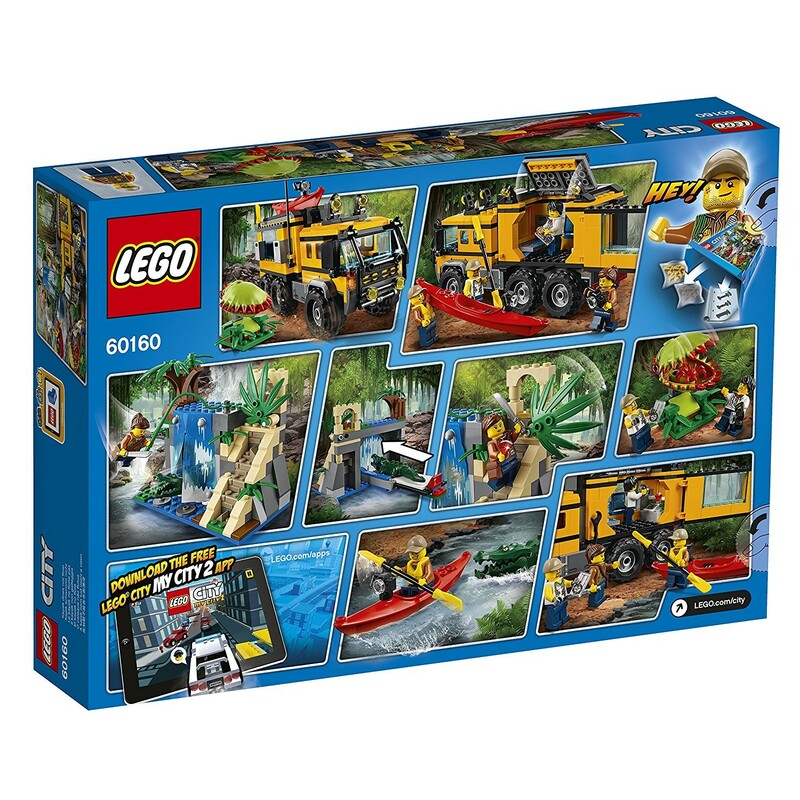 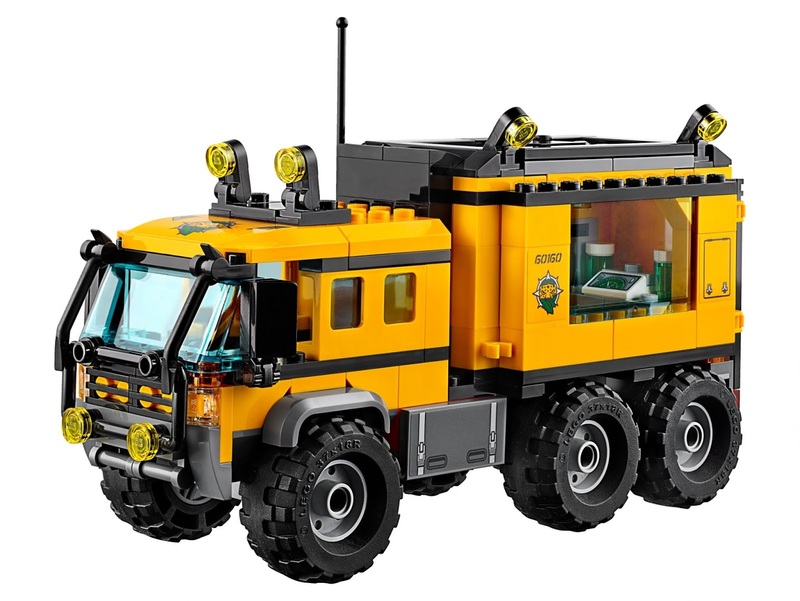 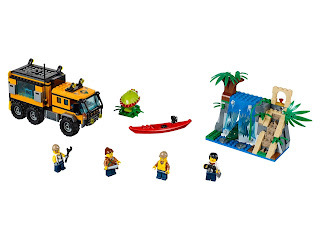 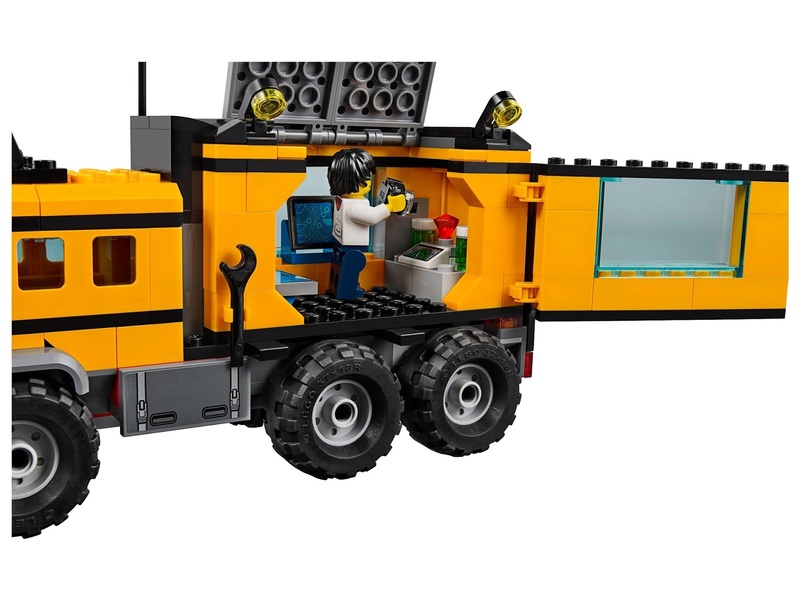 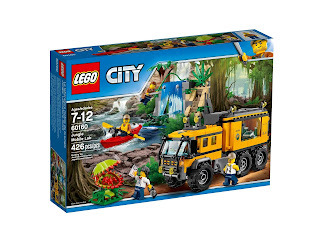 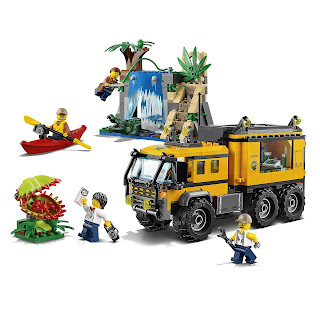 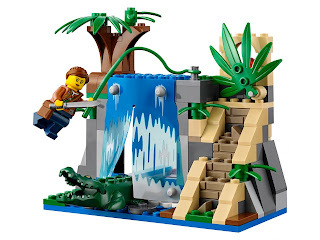 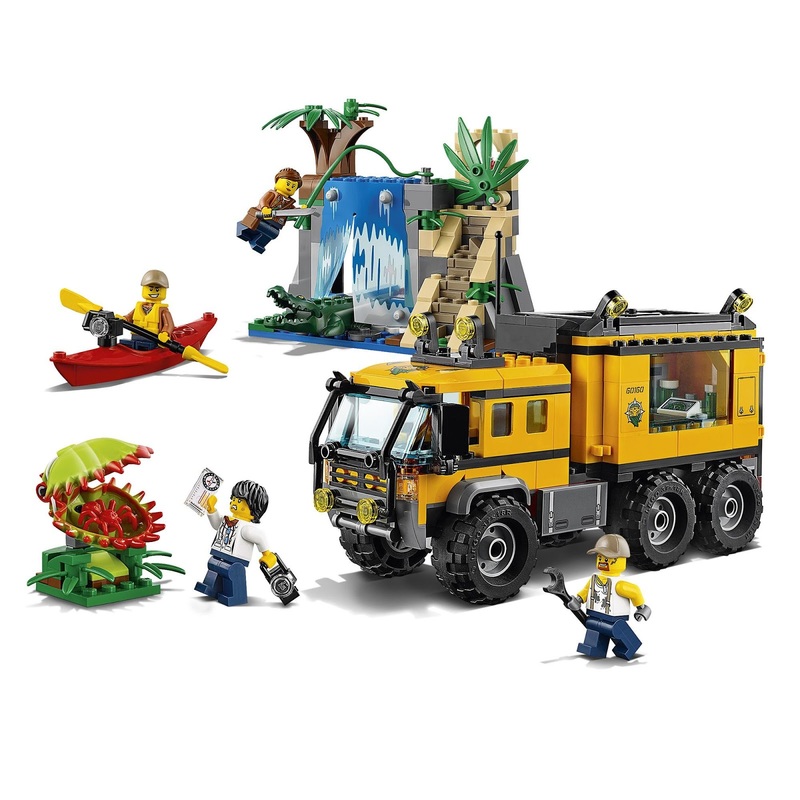 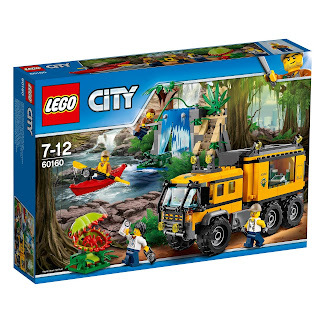 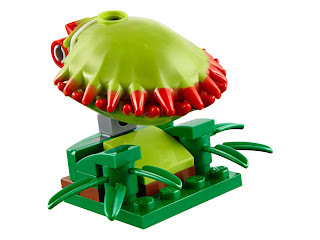 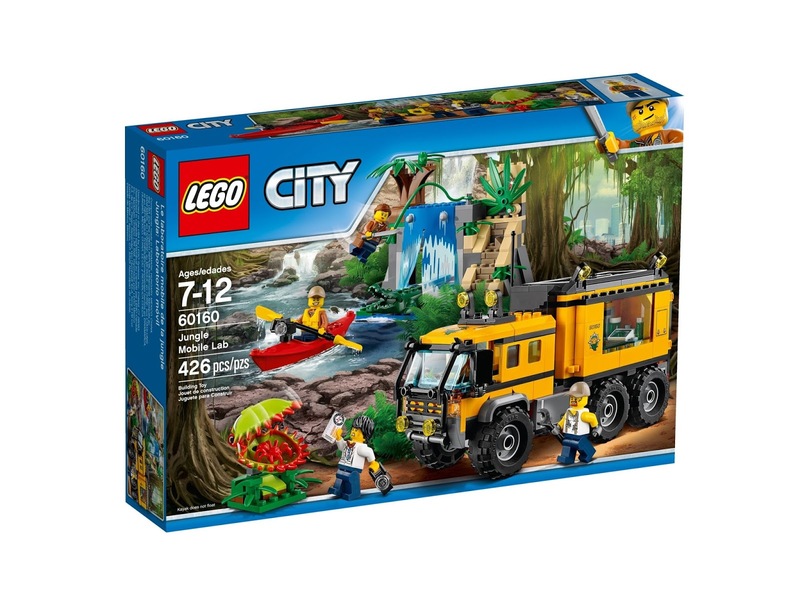 come with a jungle mobile lab, a flytrap, a kayak and a waterfall. 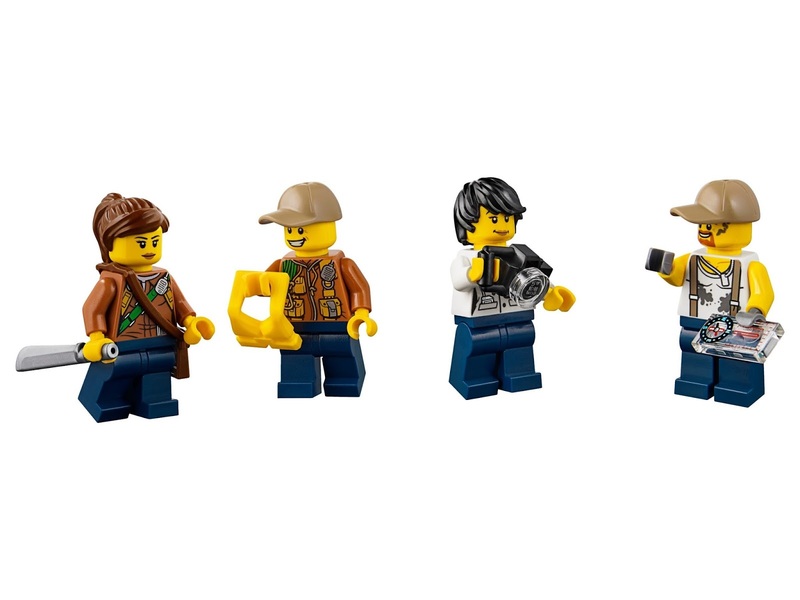 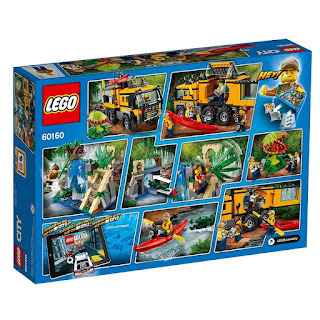 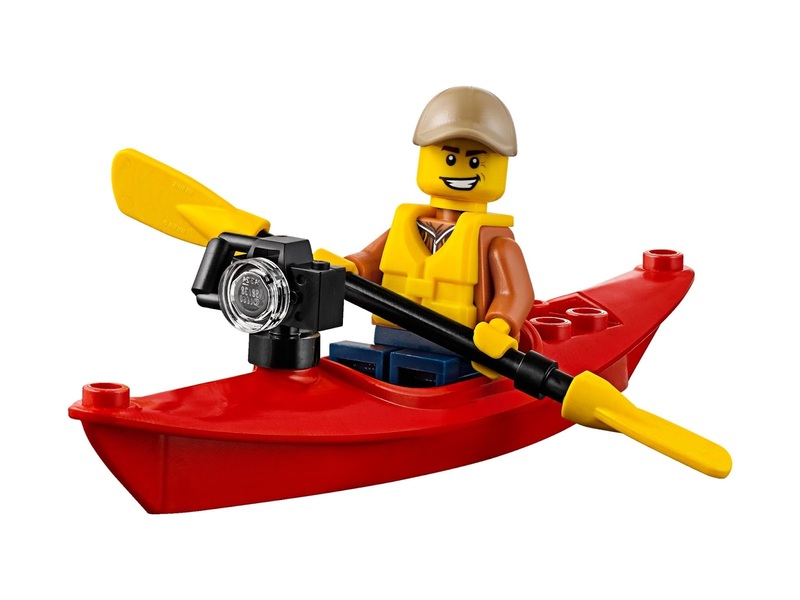 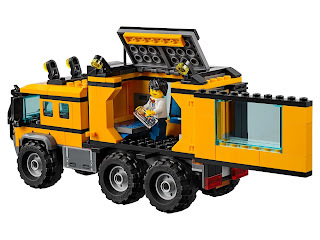 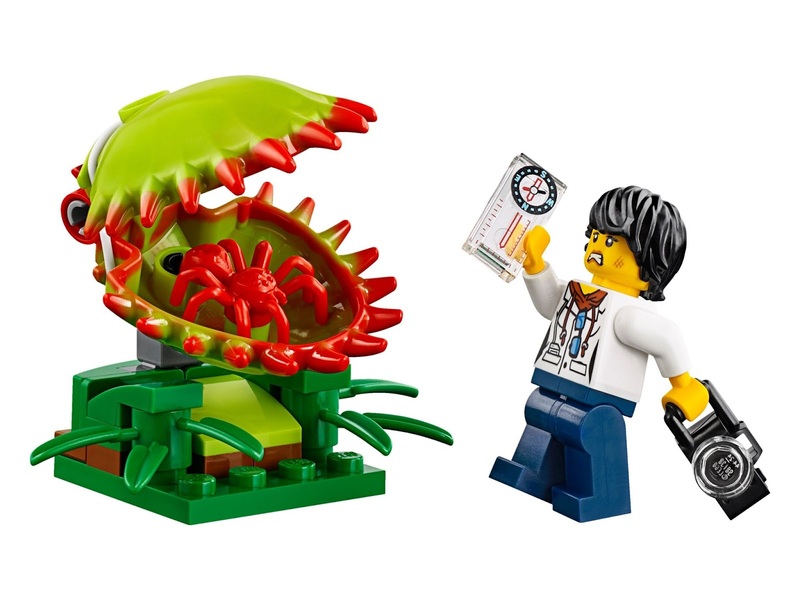 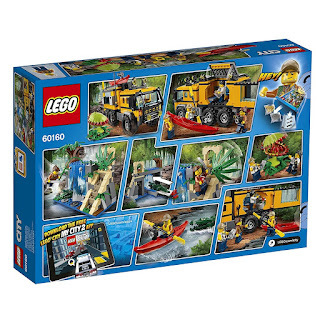 minifigs included a male explorer minifig, a female explorer minifig, a scientist minifig and a mechanic minifig. also included a crocodile figure.